Pinball has had better days, but it's coming back with medieval fantasy and magic in Rollers of the Realm from developer Phantom Compass and publisher Atlus. The basic mechanics come from pinball games, unsurprisingly; don't let your ball fall all the way to the bottom. Coming off of this, you can collect loot, money, mana multipliers, and fight enemies through a storyline. The most interesting addition to pinball in Rollers of the Realm is how each pinball you use represents a character. Pinballs can be switched in and out quickly so that you can adapt to each situation as you flip and nudge your way through different levels. 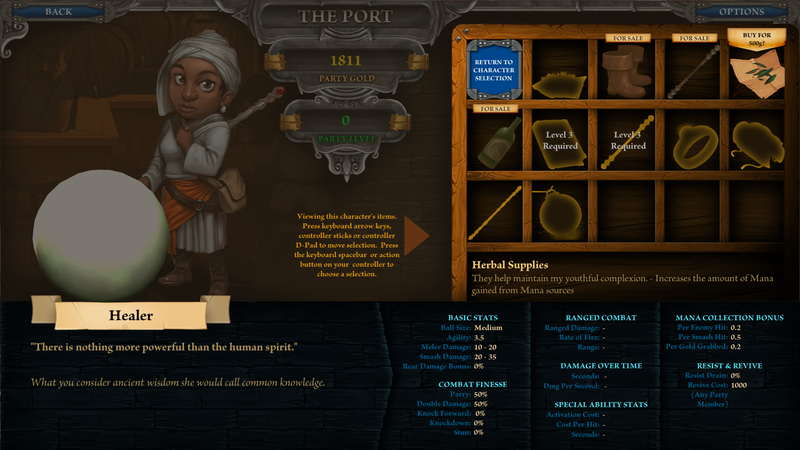 For example, the demo showed off three characters: a knight, a rogue, and a healer. 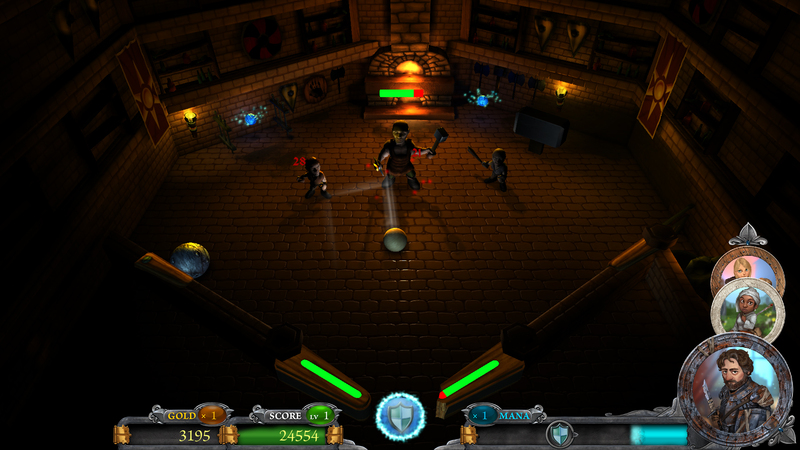 The rogue pinball deals extra damage to enemies when striking them from behind with the ball, and because this pinball is smaller than the knight pinball, you need to use the rogue to pass through smaller spaces. 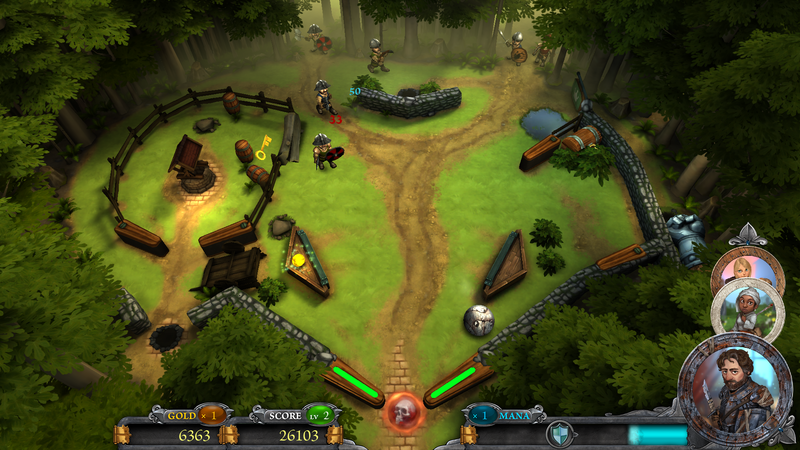 The knight character is larger and moves slower, but he can crash through barriers. Rollers of the Realm resembles pinball games more than RPGs, but knowing when to use different characters will be what allows you to proceed. There are 10 player characters total. The maps, however, look more like straight out of an RPG map than an arcade-style background. 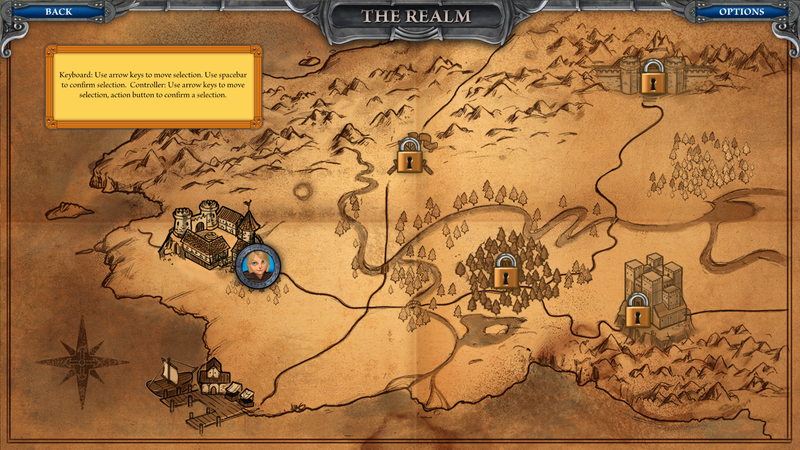 Maps show off the medieval setting, containing trees, castles, barns, and more. One map resembled a market, and the player needed to use the flippers to navigate through the level to the next, so the maps are more than just decoration. They add flair and obstacles. 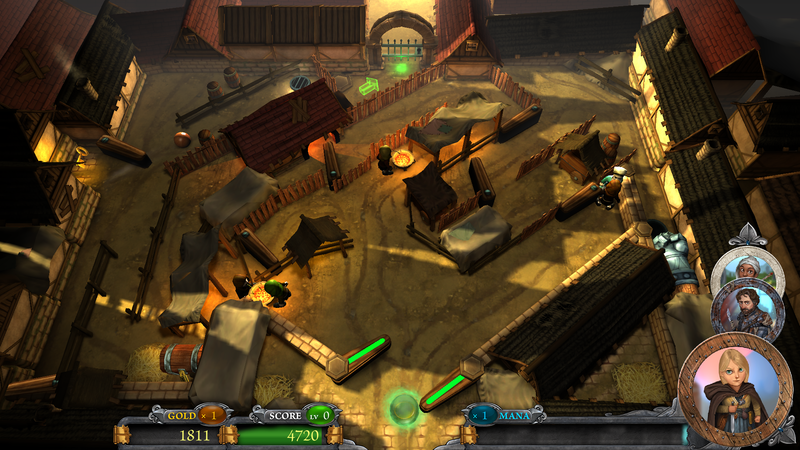 Players must use the flippers to launch characters into enemies and through or around obstacles, but the flippers aren't safe from enemy attacks. Flippers have their own health bar, and they can be killed, making that flipper unusable. Like any RPG, there's money, special abilities, and upgrades. 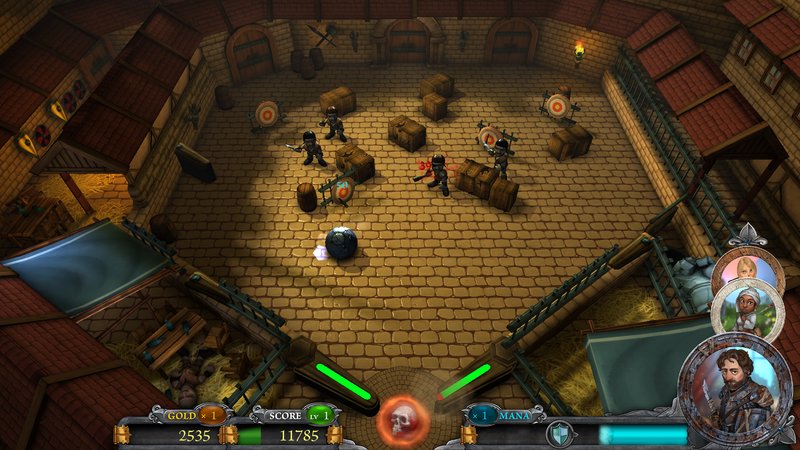 The pinball characters can pick up gold by rolling over it, and the rogue can also steal gold from enemies she rolls into. This money can be used to buy weapons and other items to help your party. 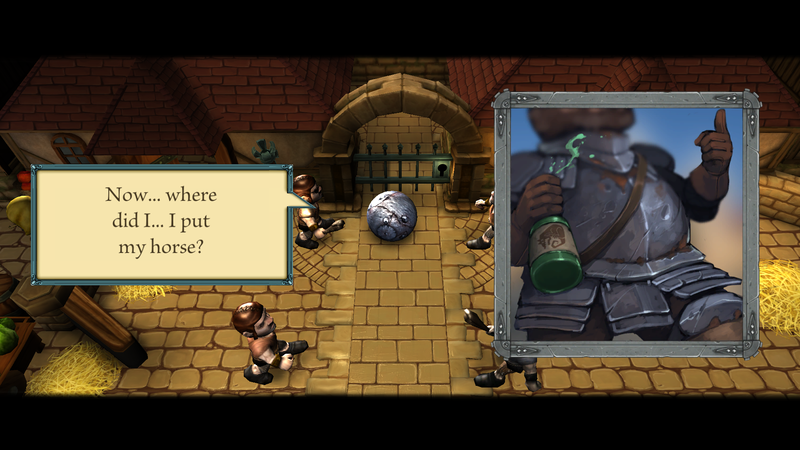 Characters have different special abilities, such as the healer's ability to revive fallen pinballs, or the rogue's ability to summon her pet dog to distract enemies and deal extra damage. Atlus stated Rollers of the Realm will have a story told through voiced dialogue, and each character will have a compelling backstory and personal agenda. It doesn't seem like it's going to be a long game or have much replayability over the game's six chapters, though. 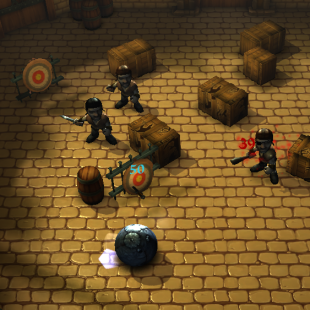 The game feels more like pinball than an RPG, so strict RPG fans will probably be uninterested. I haven't played a pinball game in years, but if I was going to pick up one, it would probably be Rollers of the Realm. By putting a new spin on pinball while still keeping some of the traditional mechanics, Phantom Compass and Atlus have my attention. 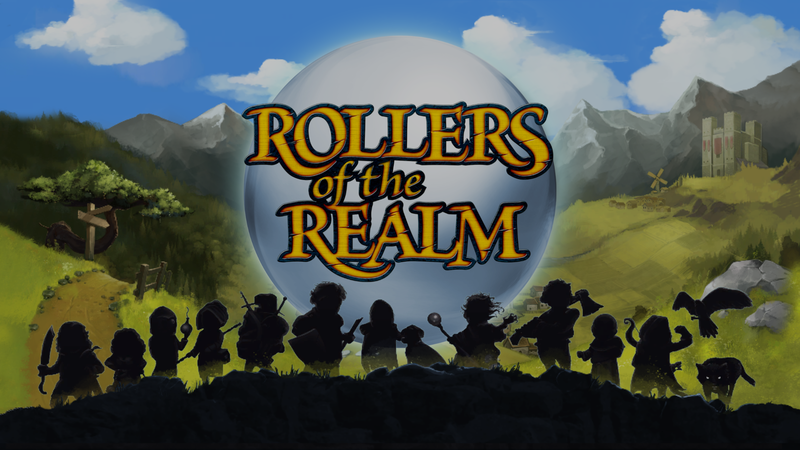 Rollers of the Realm launches this holiday season on PS4, Vita, and PC via download only.